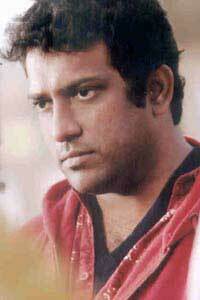 Anurag Basu had virtually gone missing after the debacle of "Kites". But the director has no plans of moving away from cinema -- he plans to make three films in 2011! "I was supposed to do two films 'Silence' with Ranbir Kapoor and Priyanka Chopra, and the film on Kishore Kumar in 2011. 'Silence' would've happened in 2010. It got pushed ahead because Imtiaz Ali's film 'Rock Star' with Ranbir got delayed. Now between 'Silence' and my Kishore Kumar biopic I am directing a third film. The details are now being worked out," said Anurag. "Silence" with Ranbir and Priyanka is to start shooting in January. The second leading lady is still to be finalised. Anurag had his own reasons for being missing from the film scene till now. Not only did his little daughter suffer a finger injury, his wife fractured her leg too. And Anurag himself was a bit under the weather. So it wasn't a very happy Diwali for this filmmaker who, friends claimed, has gone underground. To that Anurag laughed heartily and said: "Yes, I've been hearing rumours about myself. That I've migrated to Kolkata; that I'm making Bengali films. Ha ha! Just because I did a celebrity chat show on Bangla TV... I suppose that's where the rumours started. I did that chat show because it was earlier hosted by Sourav Ganguly." The three upcoming films should surely put these rumours to rest. As for rumours of Anurag "returning" to television, the director of "Gangster" and "Life In A Metro" said: "I started on television. I never left the medium. We're now producing a serial loosely based on 'Life In A Metro'. We've tentatively titled it 'Dil Khudgarz Hai'." Anurag had hoped to name the serial "Metro". But the title belongs to UTV. Anurag, meanwhile, says it's impossible to make a sequel to "Life In A Metro", which starred a host of actors including Dharmendra, Nafisa Ali, Kay Kay Menon, Shilpa Shetty, Kangana Ranaut and Sharman Joshi among others. "When we made the film, the concept and the treatment were novel. But now so many films have been made on the same theme. Besides, I've many new subjects for films. Why return to what I've already done?"